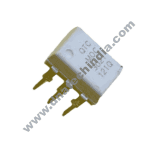 Buy online TLP350 Optocoupler MOSFET & IGBT Driver in India at low price from DNA Technology, Nashik. The TOSHIBA TLP350 consists of a GaAℓAs light-emitting diode and an integrated photodetector. This unit is an 8-lead DIP package. 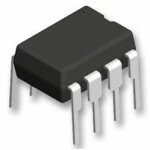 The TLP350 opto-coupler is suitable for gate driving IGBTs or power MOSFETs. 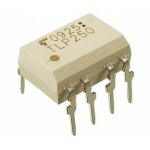 TLP250 Opto-CouplerTLP250 comes in 8 pin DIP package and consists of a GaAlAs light emitting diode a..